Are you all watching the SOTU??? Discussion in 'Latest Political News and Current Events' started by Caroljo, Feb 5, 2019. Nasty Nancy can't even get herself to clap for all the good things that has happened! You can see how she hates this!! Lol! When she does clap it's with a smirk.....I knew she'd be entertaining! Who are all those people in white jackets? Some clap....but I see Nutty Cortez being smug....ha! I want to know who let the KKK Women’s Auxilary in. And what are those large cards o(or whatever they are) that she keeps looking at? I'm listening to it on the radio. 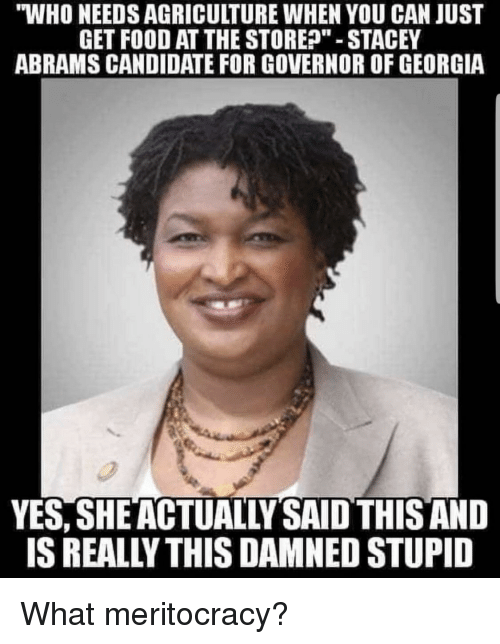 I really want to hear Stacey Abrams give the Democrat response. She thinks she is at the movie theater about to see SpongeBob Squarepants. I'm sure you do. Do you think Stacey has her rebuttal prepared before the speech is over like Nasty and Chucky did? Nasty is having such a hard time keeping a straight face! Lol! I want to know what Nasty keeps looking at on those sheets of paper she keeps looking at! I've never seen any speaker do that during a speech. I don't know about that. I do know she is an articulate, intelligent young lady, who I'm sure will give an excellent speech. I'm surprised you don't know that it is extremely disrespectful and insulting to refer to a black woman as "articulate". It's worse than a slap in the face according to a friend of mine who is a black, lesbian, PhD . One of the reasons she quit her job at a mid-western university was that that is how they seemed to want to introduce her. I don't think she would have been any less insulted if another black professor referred to her in that way, so you don't get to do it just because you're black and Stacy is black. what is up with her obvious order for all democrat hags to where white dresses? He's going to ask Congress to stop federally the act of late term abortion. Not ONE Democrat clapped.....Nasty sat there with her smug face. I have never heard that. I would consider it a compliment if someone referred to me as articulate. Next time you speak to your friend, please ask her why calling a Black woman articulate is wrong.